Happy Labor Day! The smoke finally subsided, leaving this week with blissfully clear skies. After a couple weeks of so-so runs, this week felt great for finally getting training back on track. With the start of September, an October half marathon all of a sudden seems so soon! I realized I went all of last week without a rest day. We spent several hours in the car on Sunday, especially since we got stuck in 90+ minute line for the ferry from Bainbridge Island to mainland. Between feeling tight and not wanting to jump into a hard workout without some rest, I opted for a full rest day. 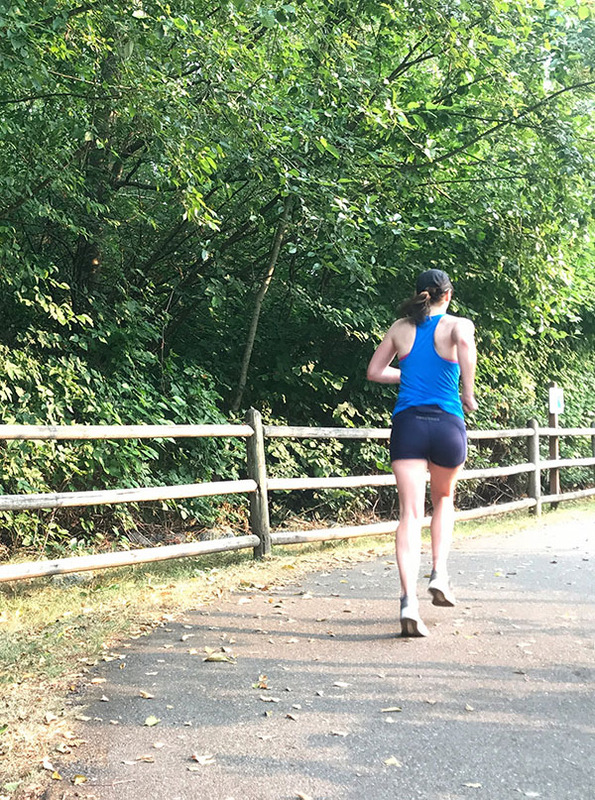 Amongst the many staple workouts I love, 5-minute repeats strike the right balance between hard intervals and the focus on pacing of a tempo run. I aimed for about 8K-10K effort for the intervals. The final two were work, as my legs felt tired, but I managed to hold onto a 6:49-6:54/mile pace for all five intervals. We had our carpets cleaned, so I opted out of a strength workout. I’m going to count hauling around furniture as functional strength. I ran with Ollie for 6 miles at an easy effort, followed by a mile with Charlie. Both dogs were very interested at stopping and sniffing at every opportunity they could – and I’m fairly certain Charlie stopped at all the same spots Ollie did. I reluctantly hit the gym that afternoon, not wanting to strength train but knowing I needed to. I did a variety of kettlebell exercises, including squats, lunges, single leg deadlifts, and swings, and then finished off with some core work. I intended to do box jumps, but every time I looked over, someone was using the plyos boxes to either passively strength or hold their water bottle and towel. Uneventful easy runs are often the best type of easy run. Ollie and I ran five miles at a light and easy effort. I’m really enjoying workouts in the middle of my long runs right now. 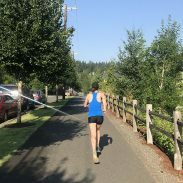 I have been using intervals at tempo pace/half marathon pace to fit in a larger volume of work without turning the long run into a race effort. For this long run, I ran for 40 minutes at an easy clip (about an ~8:20-8:30/mile pace) and then ran three sets of 10 minutes at half marathon pace with three minutes of recovery jog in between and then a five minute interval at slightly faster than half marathon pace. I then cooled down with approximately 20 minutes of easy running. 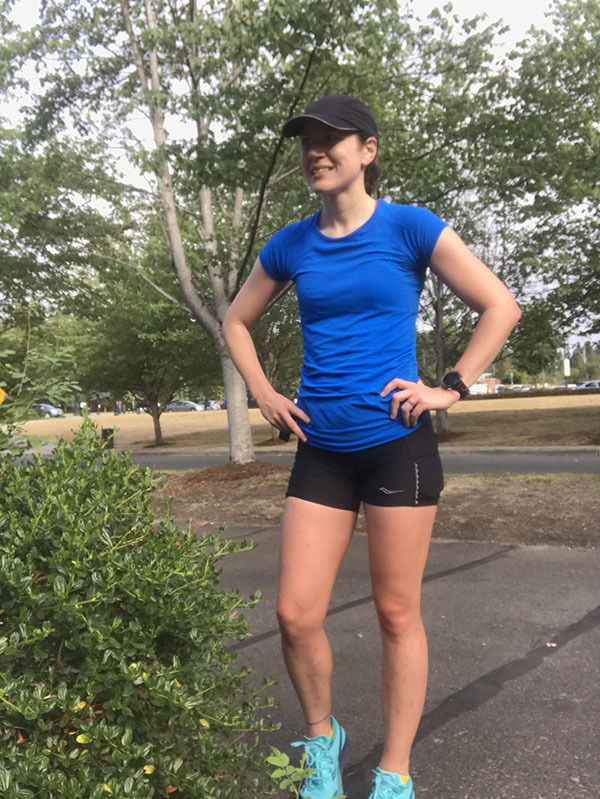 The 10-minute intervals all felt smooth and comfortable and hit within the 7:08-7:13/mile range and the 5-min interval clocked in at a 7:04/mile pace. This run felt really freaking good. What surprised me the most was how energetic I felt after this run – I recovered fairly quickly from the effort. The cooler mornings mean less of a rush to get out early for Saturday runs. Ryan and I enjoyed a light breakfast and coffee before a mid-morning double workout – and food and coffee do make a huge difference for me when completing a run and strength session back-to-back. 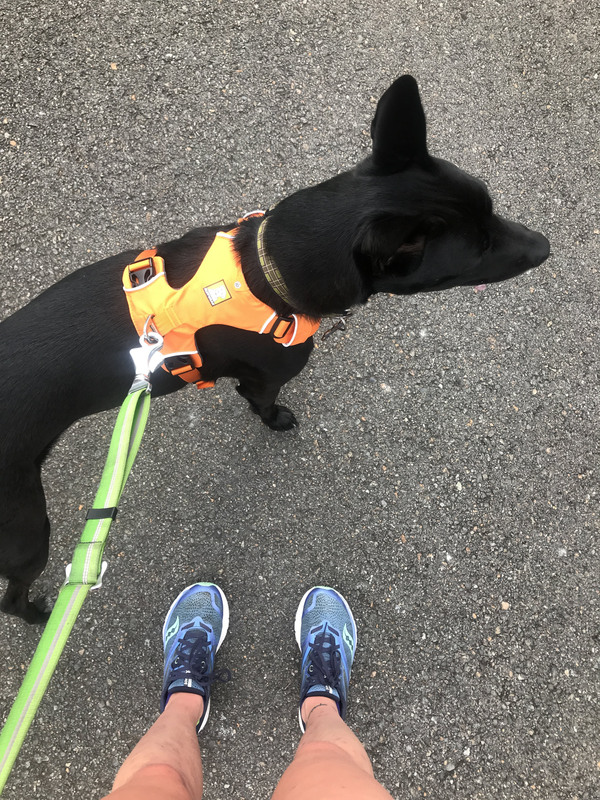 We ran four easy miles, immediately followed by a strength workout. I did barbell hip thrusts (65 lbs), barbell deadlifts (95 lbs), barbell back squats (65 lb), and battle ropes – short yet very effective. Those battle ropes are such a challenging upper body workout! Sunday was blissfully warm and sunny. 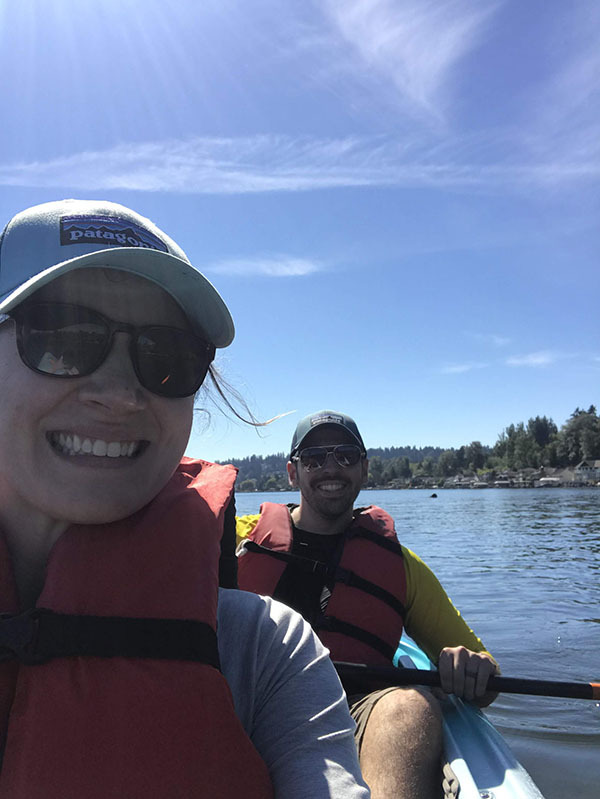 We rented a kayak for an hour out on Lake Washington. The water was certainly choppier than our river kayaking – especially with all the boats out for the holiday weekend – but kayaking along a lake was really fun. Do you like doing workouts in your long runs? What activity beyond running are you enjoying right now? 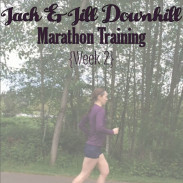 I really enjoy doing workouts as part of a long run! 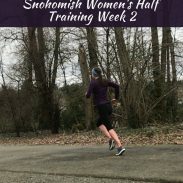 There is one workout I used to do that sounds similar to yours, with longer intervals and then ending with a few shorter ones. Great week of workouts and I’m glad you can be back outside! Thank you! Workouts make long runs pass by so quickly! I too like mixing it up during a long run! Makes it more fun. You are right about the battle ropes–that is one hard workout! I find that it really works my glutes and hamstrings too. Everything hurts after battle ropes! I love mixing in a workout in a long run. It just makes time fly by and gives me a confidence boost. The confidence boost is undeniable – race day feels so much less intimidating! I’m so happy to hear the air cleared this week! It sounds like you took full advantage of it. I’ll be so happy when I can sleep late this winter and not stress over how hot it is when I start a run. The kayaking sounds fun. I was wishing I had someone to go kayaking with this weekend! That’s one thing I don’t think would be very fun to do alone. My other activity right now is water skiing. I have to get my fix as the water will soon be getting cold. Thanks for linking! Kayaking is so much more fun with company! I would probably be so nervous about kayaking along. I hope you get to enjoy some good water skiing before fall!